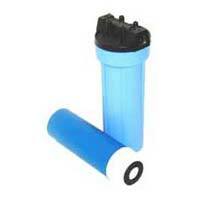 Situated in Karnataka, we are the dependable Importer and Supplier of the top-notch Carbon Filters in the country. Engineered as per the global industry standards by our vendors, these Carbon Filters are acclaimed for quick purification of water from the suspended soils, pungent taste and odor. For safe delivery, we enclose them in tamper-proof packaging. With us, stay assured of fair pricing & prompt delivery. Carbon Filters is a method of filtering that uses a bed of activated carbon to remove contaminants and impurities, using chemical absorption. Each particle or granule of carbon provides a large surface or pore structure, allowing contaminants the maximum possible exposure to the active sites within the filter media. Activated carbon works via a process called absorption, whereby pollutant molecules in the fluid to be treated are trapped inside the pore structure of the carbon substrate. 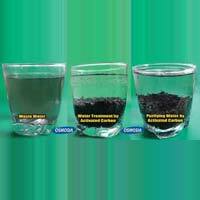 Active charcoal Carbon Filters are most effective at removing chlorine, sediments, organic compounds, taste and odor from water. They are not effective at removing minerals, salts and dissolved organic compounds. Typical particle sizes can be removed by Carbon Filters range from 0.5 to 50 micrometers. 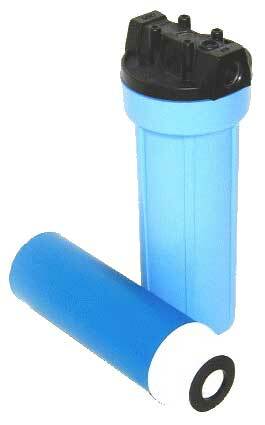 The efficacy of a Carbon Filters is also based upon the flow rate regulation.